The young man from Northern Island who was born in Timor Leste, will be playing in Balestier Khalsa FC on January 5, 2011. He will be the new midfielder. Currently Mr. Stanley hold dual citizenship Northern Ireland and Timor Leste. Stanley will join his Timorese teammate on mid 2011, where the 2014 FIFA World Cup Qualification begin. Stanley is excited to play in Balestier Khalsa FC. This his first time to play in top division. He is still the member Creveela FC in Northern Ireland. The Federaco de Futebol de Timor Leste is congratulating Mr. Stanley for job well done being the player of Balestier Khalsa FC. The S. League will have the first Timorese player in history. Sergio Van Dijk will be Indonesian next player. Sergio Van Dijk naturalization efforts as national team players not only – the eyes of a program in achieving instant PSSI. However, this is one of many alternative ways to be conducted by the PSSI in building the strength to back up the national team in Asian football arena. Chairman of the National Team, Faith Arif, affirm, that principle is taken is to try the best. So, this is not the only effort made by the PSSI. “Me and coach Alfred Riedl has agreed that we would do a lot of alternative ways to form a national team, including finding players who not only live in Indonesia,” Iman said Arif had just returned from Europe to make approaches to some of the players of Indonesian descent. Besides Sergio Van Dijk, PSSI will also do the same approach to players other Indonesian dengue, particularly those still under the age of 21 years of age. This is part of a long-term program. “Of the many names that we now get, not necessarily all of them deserve to be coach. Several names are worthy of our players who combine training in Uruguay as well as players in domestic competitions, “explained Faith Arif. PSSI General Secretary Nugraha Besoes also reinforce the opinions of Faith Arif. “Do not forget the coaching PSSI interpreted domestically. But, this is an initial effort to form a formidable national team in addition to the program – other long-term program, “said Nugraha Besoes. Next September, PSSI will cooperate with the Dutch KNVB to recruit the players of Indonesian descent in the Netherlands. After their data disorir by the KNVB and PSSI, there will be a special team to monitor them directly in the Netherlands. The plan, the team consists of the Chairman of BTN, PSSI secretary general, national team coach and team talent Scouting. This an opportunity for those Indonesian that live outside of Indonesia to play in Indonesia national Team so that Indonesia could Improve. Great news for the fans of both team, Panama and Timor Leste. Both of these teams joined the Piala Kemerdekaan 2010 ( 2010 Indonesia Independence Cup) which held in Jakarta, Indonesia at 24 to 31 October 2010. Panama is ranked 94 on FIFA ranking will send their senior team to Indonesia to take part on Indonesia Independence Cup. Coach Gary Stempel said that this would be very easy competition due to easy team and match, but the one difficult, the Uruguayan team are most tough team to break. The Federacao de Futebol de Timor Leste will not send their senior team due to a competitive game on 2010 AFF Suzuki Cup Qualification, which held in Laos at 16 to 24 October, 2010 but they will send their U-23 team which used to play in 2009 SEA Games in Laos. The U-23 Timor Leste team loss to all the game, one of the most heartbreaking is losing 11-0 to Malaysia. Coach Manuel of Timor Leste will not make that mistake again, he will focused on his team discipline and using the strategy that could help the team win the game. He added that this an opportunity for Timor Leste to play in the top ranked team Such as Algeria, Indonesia, Panama and Uruguay. Timor Leste U-23 team will have their training in September 1, 2010. The Timor Leste had found their first international coach from Brazil. His name is Clodoaldo Taveres de Santana, best known as Clodoaldo. 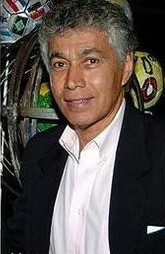 A former Brazilian player that play in Brazil in 1969 to 1974. Clodoaldo is one of the most agile players and best dribblers ever. This is his first time coaching for Timor Leste. The Federacao de Futebol de Timor Leste had sign five year contract with the new coach, Clodoaldo. Clodoaldo will do his best to help Timor Leste qualify in 2010 AFF Suzuki Cup. Furthermore, he said that Timor Leste need a lot of work and improvement. And the players are not used to play in a lot international friendly match. Therefore, he ask FFTL to have at least one or two friendly match before they go to 2010 AFF Suzuki Cup Qualification, which held in Laos. The 60 years -old Clodoaldo is going to Timor Leste on August 7,2010. There, he would meet the players and the official of FFTL. Futhermore, the Federacao de Futebol de Timor had Stated that the training will begin in middle August to end of September. The Timor Leste national team is excited to have their first friendly match but there’s problem in their financial said Jesuina Henrique, a treasurer for FFTL . The Federacao de Futebol de Timor Leste is having sort of money problems to travel and place to live in Bali, Indonesia. Henrique and FFTL will try to borrow money from Autoridade Bancária e de Pagamentos de Timor-Leste, whether they have money to give FFTL for a loan. Henrique want the loyal national team fans to donated some money to Federacao de Futebol de Timor Leste and send it to federation house. Timor Leste national team will still come on their first friendly match with Sri Lanka on October 7, 2010. It’s a long months to get their preparation and stamina before they go to to Bali, Indonesia. The Timor Leste national team is having alot of pressure from their Loyal fans; all the fans want Timor Leste to do well this year not lossing any game. Furthermore, they want better result from Timor Leste national team. Currently, there are 590 Timor Leste fans and is still growing a lot everyday on facebook ” Timor Leste national football team (official). This fans will support and love Timor Leste. Some of this fan will be going to Bali, Indonesia to support and to cheer Timor Leste in their first friendly match with Sri Lanka. The biggest event for the fans will be the 2010 AFF Suzuki Cup Qualification, which held in Laos. All the Timor Leste fan will be at Laos. The Fans want to see Timor Leste win at least one or two games during 2010 AFF Suzuki Cup Qualification which start at 16 October to 24 October. The biggest question for Timor Leste is Will Timor Leste Shine this year ???? The Timor Leste national team is collecting all their players from the Taca Digicel, one of the top division of Federacao de Futebol de Timor Leste . Furthermore, the Federation had invited some of Timorese overboard to play in the national team during 2010 AFF Suzuki Cup Qualification which held in Laos. Some of Timorese Overboard had difficult transportation to Timor Leste during the practice which start in middle August to end of September, but Federacao de Futebol de Timor Leste had granted them on the national team.There three new players form overboard; Estanilau Li (age 23), Montenario Soares (age 18), and Diogenes Zanini (age 24). Estanilau Li had difficult away to get to Timor Leste this year because he live in Ireland and play in third division of Football Association of Ireland. But he will come next year, 2011.Montenario Soares who live South Australia, Adelaide and play Adelaide Blue Eagles (Azzuri) which is the highest State-Level association football competition in South Australia; he too have difficult away to get to Timor Leste and he must finish his last year of high school.Only Diogenes Zanini will come to Timor Leste on August 10, 2010. Zanini play as the best striker in RM Football Club, a second division of Confederacao Brasileira de Futebol, he’s Brazilian that want to be Timorese. Francisco Kalbuadi had promised Zanini to become Timor Leste Citizen when Zanini come to Timor Leste on August 10, 2010. The Federacao de Futebol de Timor Leste asked the President of Timor Leste, Jose Ramos-Horta to granted Zanini a citizenship.Right now, the FFTL is doing a lot of paper work for Zanini’s Citizenship. Franciso Kalbuadi want to see his team win first game on this year 2010 AFF Suzuki Qualification and he’s looking forward for Timor Leste’s first friendly match with Sri Lanka on October 7, 2010 at Bali, Indonesia. Kalbuadi wishes there are more overboard to play in Timor Leste so that Timor Leste national team is on progress and will not be number 200 in FIFA Ranking. Kalbuadi said that the team had sign contract with Joma Sport to be their Kit Supplier. This year theme for Timor Leste national team is ” It’s Time To Shine ” . Will Timor Leste Shine this year?? Who knows, but FFTL are making Progress With their overboard players, International Players and First Friendly Match. A Young Singaporean was asked to played football in Timor Leste, but later he rejected the offer. This Young Singaporean, Name Muhd Haneef , a ITE Student of Engineer. He said this offer was too much and beside he doesn’t want to leave his beloved Singapore. Furthermore, Federaca de Futebol de Timor Leste will not pay his airfare. Haneef know this must be all lie but as soon he read all the whole email, this was true. Many of his friends support him to play in Timor Leste but Haneef didn’t want to. He believed that education come first after soccer. The funny part, Haneef was not fit enough to play in soccer team. His statement said that “He was too fat, don’t want to be in the long training and not able to do a lot of push up” The FFTL is ok with this rejection. You are currently browsing the Andy1890's Blog blog archives for July, 2010.